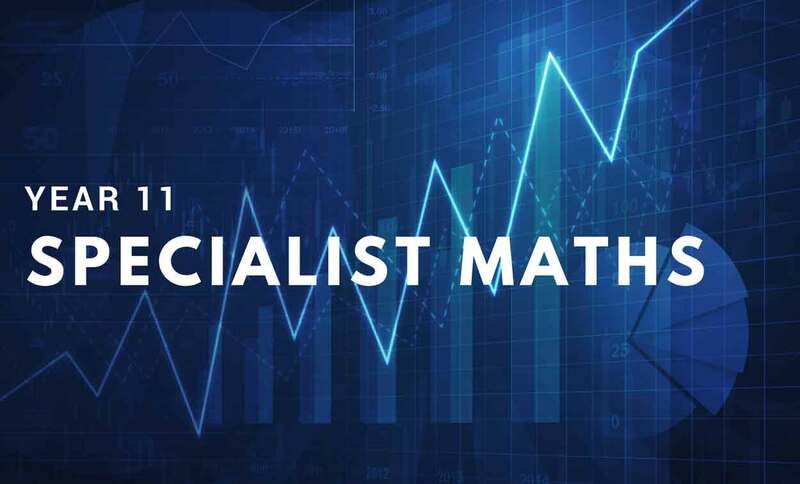 In a typical Year 11 Specialist Maths tuition session, students will work on the topics that have been set by their respective class teachers, as there is no set maths curriculum in Year 11 that all Adelaide schools follow. Our maths tutors work with students individually, covering topics and assignments from their textbooks or that they have brought from school, and this is further supplemented by additional resources provided by their tutor, such as practice tests and problems with worked solutions. Concepts will also be demonstrated to the whole class when relevant, and our tutors also assist pupils in understanding the use of the various features of graphic calculators. Pupils in our Maths tuition sessions receive guidance and support that reflects their progress and level of attainment, and depending on whether they are in a position to be challenged by extension material or require help in consolidating fundamental skills. At the beginning of the school year, maths tutors will focus largely on content, although as the year progresses this will broaden to include a greater emphasis on problem solving, followed by exam preparation as the school year draws to a close. Year 11 Specialist Maths students can also get assistance from their tutor with their folio tasks, although this is strictly limited to guidance and suggestions for possible paths to improve, as all the work in these tasks must be entirely that of the student.